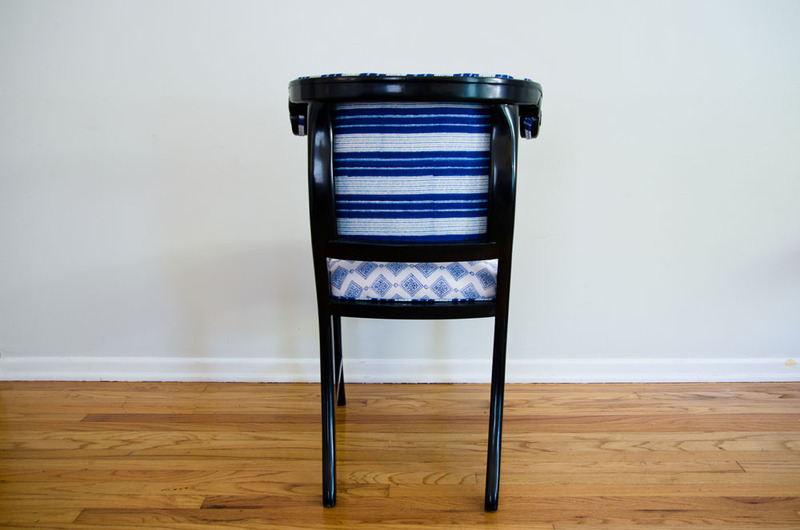 Reupholstering furniture takes fine motor skills and a love of textiles. 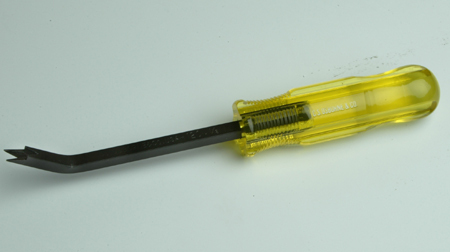 It is an old school trade that requires the right tools and a good amount of patience. 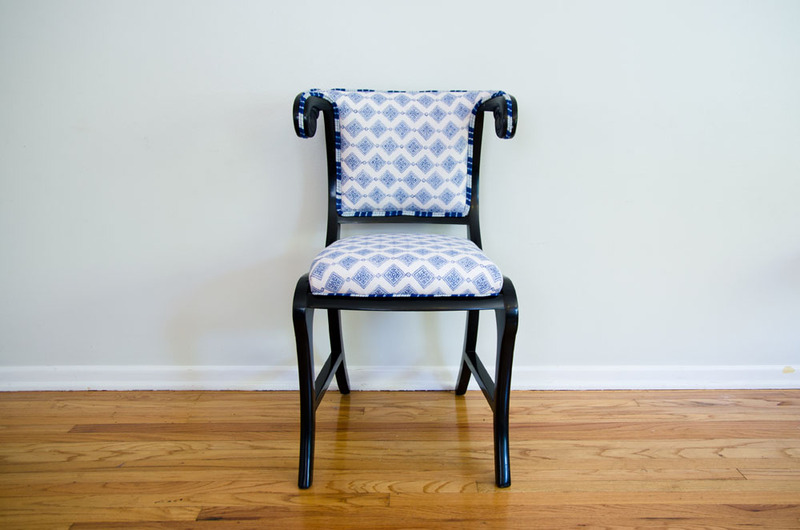 If you have always loved grandma’s wing back chair but not its weathered blue fabric or you discover a well-made piece of furniture at the flea market that just needs a little freshening up, all it takes is a little vision and a few necessary tools (perhaps even some simple sewing skills) and you could have the most interesting chair on the block. 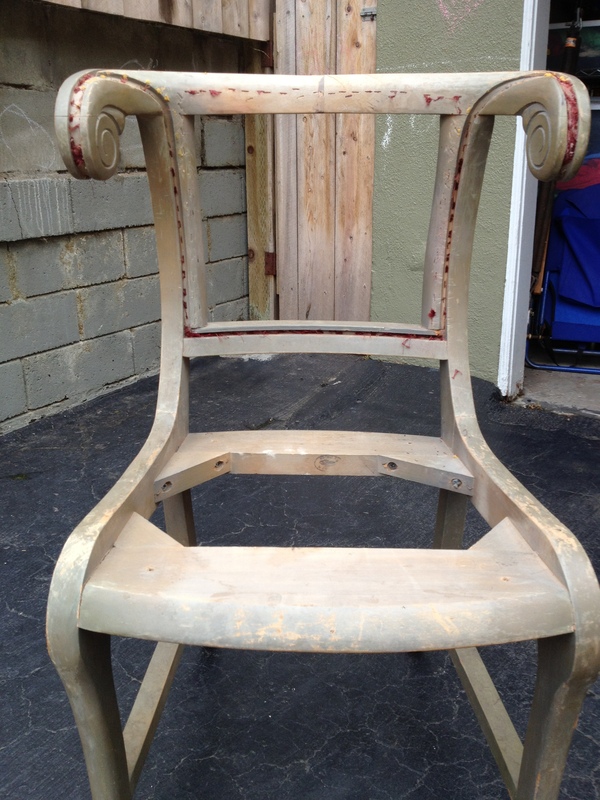 This faded green game table chair originally from Vegas with remnants of a shiny maroon fabric was found at a vintage store in San Pedro, CA. A staple remover like this will help ease out all the old staples. 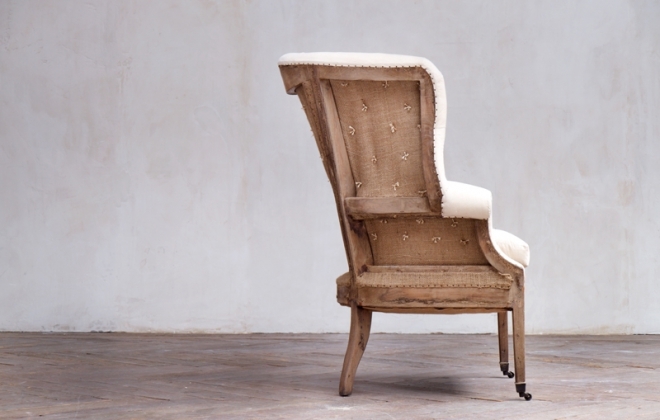 They can be found at an upholstery supplier or online. 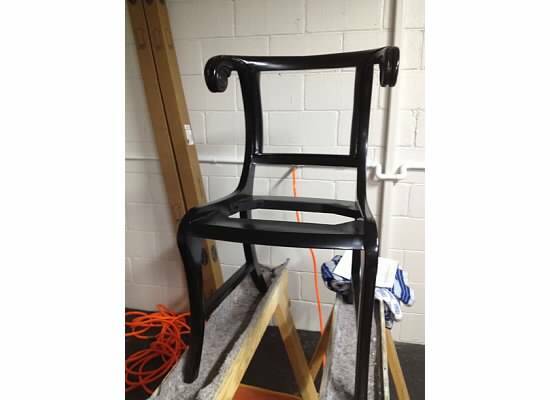 The chair was first spray painted a shiny black. 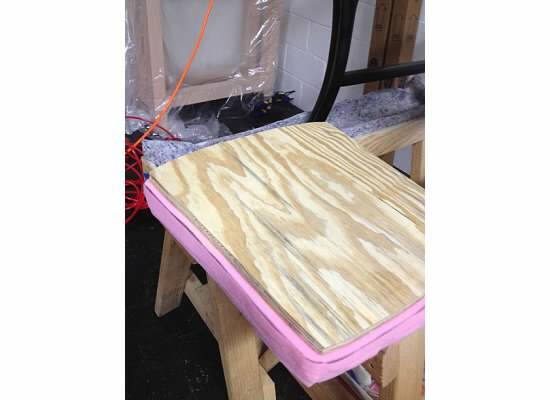 Then a new plywood seat was cut and two-inch thick foam was attached to its top with spray adhesive. 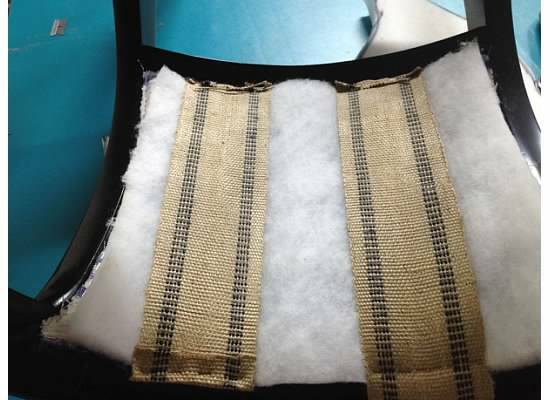 On the open back, fabric is stapled to the back, dacron layered on top and two strips of webbing to keep it in place. 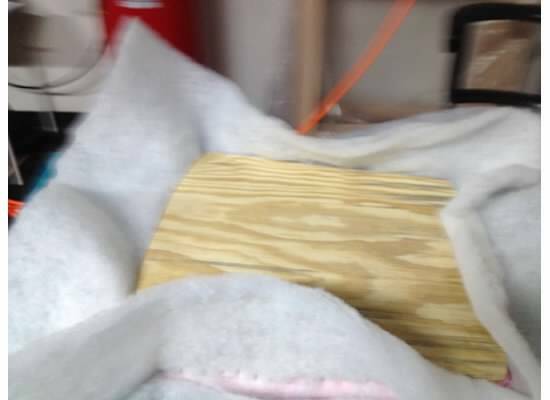 Next, foam is cut to fit into the back window and attached on top of webbing. 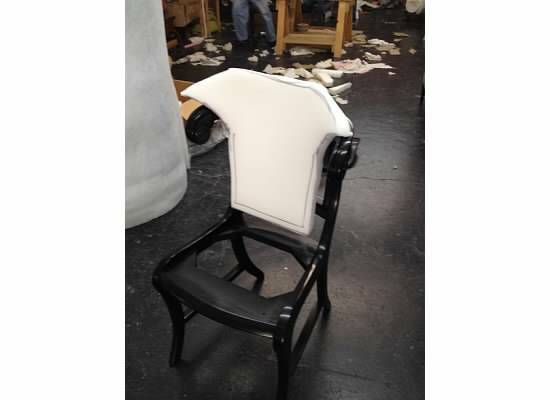 Back to the base, dacron for padding was stapled over the foam using a staple gun and upholstery staples. 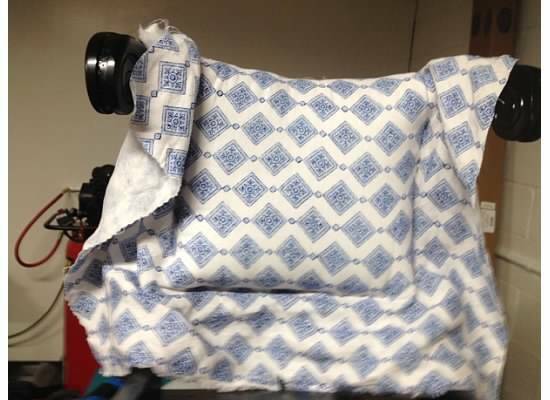 Pneumatic staple guns attached to a small compressor work better than a manual stapler. Now the fun part; picking the fabric! 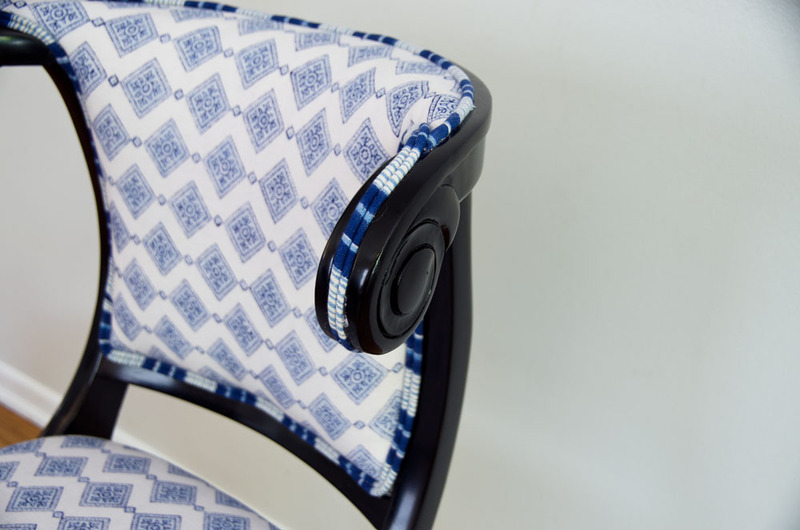 Two complementary John Robshaw fabrics like these contrasting patterns make for an adventurous chair. 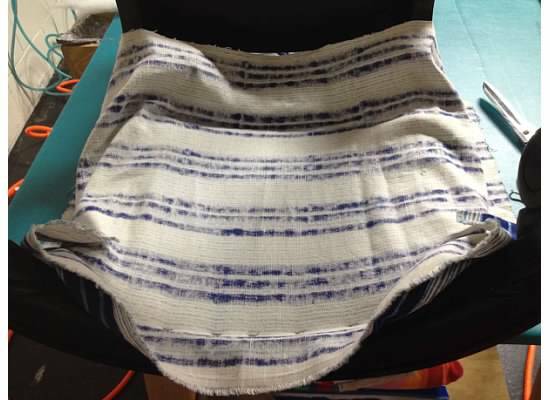 The fabric is stapled to the base and back carefully. 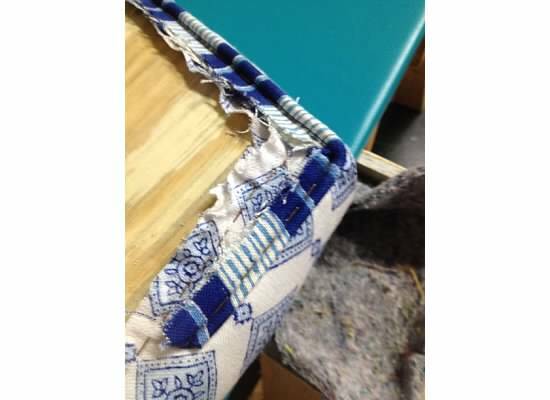 Double welt cording is made on the sewing machine and hot-glued to cover your staples for a more finished look. 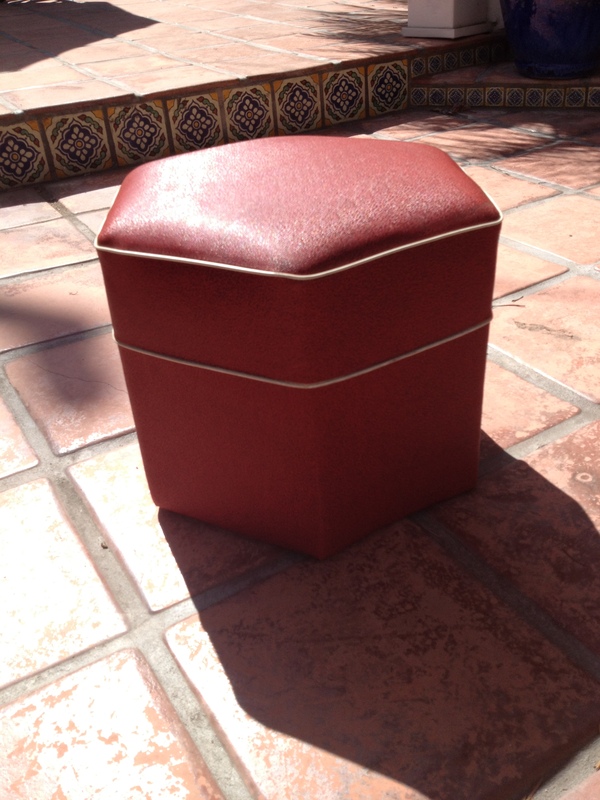 A dust cover is attached to the bottom and the entire seat is then screwed into the base. And voila! 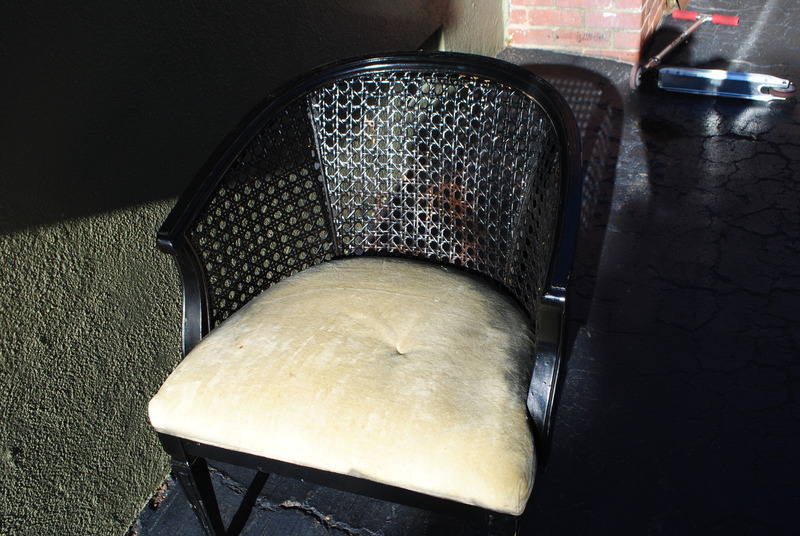 This chair went from sad to stunning. 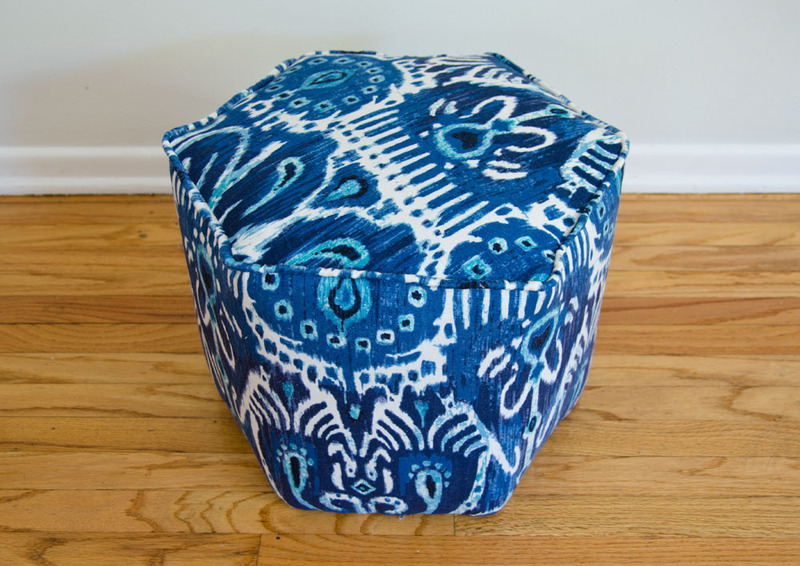 This $20 red vinyl ottoman was reupholstered in a vibrant blue ikat pattern. 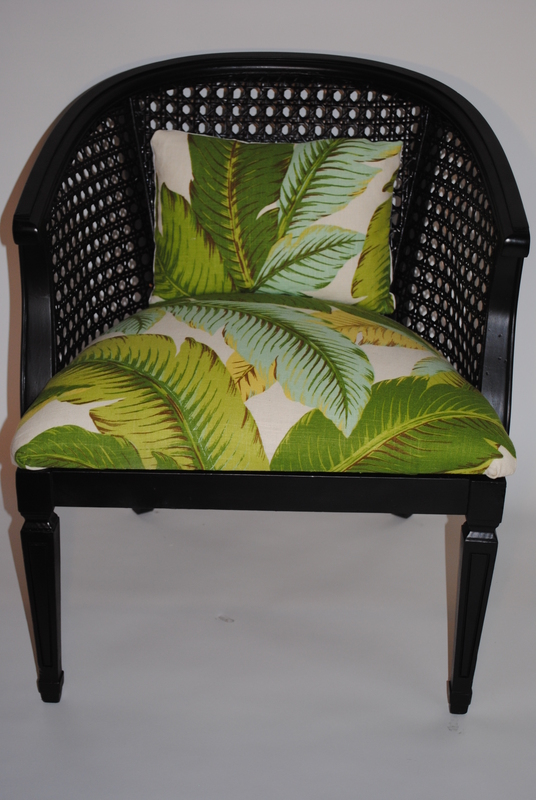 This flea market antique caned chair was refinished in a dark expresso paint and reupholstered in Tommy Bahama’s colorful palm print. 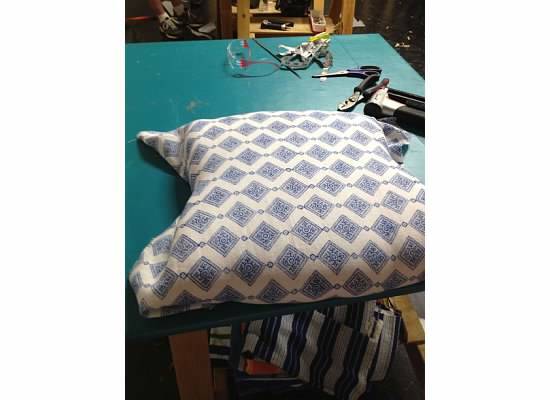 For more information on how to reupholster yourself, consider taking a class at your local community college or technical/trade school. While they are few and far between, there is nothing better than hands-on instruction. 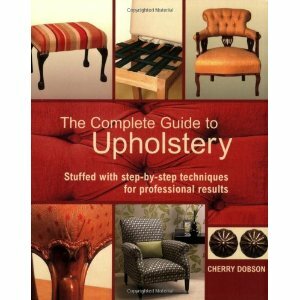 Or invest in a good “how-to” book such as the Complete Guide to Upholstery. All furniture available for sale at Open House Modern Beach Design on Etsy.